When it comes to septic tanks and systems, it’s pretty much never a DIY situation. A malfunctioning septic system can contaminate Glenview drinking water supplies and cause flooding, as well as create sewage backup and biohazardous situations. If you need a septic system installed, pumped or repaired, hiring a certified Glenview, IL septic professional is a no-brainer. SUPERIOR WASTEWATER SYSTEMS is a company dedicated to the installation, repair, maintenance and distribution of septic and mechanical sewage systems. Exclusive distributor of Clearstream® Wastewater Systems, Inc. and EZflow® / INFILTRATOR® products. Specializing in sewer septic repairs and new installation. 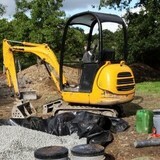 Try county trenching and septic is a family owned and operated company since 1955. Fully licensed bonded and insured. Find us on yelp manta and Facebook. TRI-COUNTY TRENCHING also provides complete installation of numerous types of underground water detention/retention systems. Ask us how consulting and value engineering for alternate systems can save you time and money on your next project. From home additions to small offices, medical centers, retirement homes and schools. 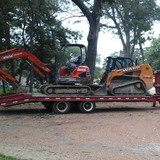 TRI-COUNTY TRENCHING is fully-qualified to deliver your next excavation project: done right, on-time and on-budget. We put our 60 years of excavation experience to work for you by delivering the best value. 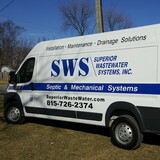 We are a well known company providing excellent sewer and drain services in Northlake, IL and the surrounding areas. When A Priority Sewer and Drain LTD Contractor arrives to your home you can expect a courteous and professional technician licensed and bonded. Call us today to find out why we are the areas best! Osland Excavating is the leader in excavation, repair, maintenence, and installation of septic systems and sewer systems. Osland understands that customer service is the back bone of any successful business and we have made it our priority to ensure that each and every one of our clients knows that they have been given the best service possible. A & J Sewer Service is a family owned and operated business that has been the leader in the waste removal and drain cleaning industry for over 40 years. We take pride in providing reliable professional and courteous service. Our technicians have received hands on training in the field and have years of experience allowing them to meet the toughest challenges that might threaten your residence or business. From the time you call our office to the time we leave your site, you will feel confident that your problem or situation will be resolved professionally and courteously. STARK & SON has built a strong reputation as one of the leading excavation and site utility contractors in northern Illinois. For more than 60 years, clients have trusted STARK & SON to design and build their projects: from home additions and new home construction to complete subdivisions, banks, restaurants, shopping centers and industrial parks. From a small $1,000 project to a major project over $1 Million, STARK & SON delivers the same attention to quality and detail, prompt scheduling and cost-consciousness. We at G&L Septic strive to provide exceptional service for a great price. We are a small business dedicated to our customers' satisfaction by providing professional on-time service. I believe it is essential to remain as close to the customer as possible to provide the level of service I myself demand from other service providers. In order to accomplish this task, it is important to me to be at every job so I know it was done right. We are very professional, affordable and honest full service plumbing company. No job is too big or small for us. Serving the Chicago and the surrounding areas. 24 hour service and no extra charge for after hours! Eenigenburg Quality Water, in Saint John, IN, has been providing Northwestern Indiana and the South Suburbs of Chicago, IL with clean treated water. Established in 1969. As a locally owned family business Eenigenburg Quality Water is your trusted local water supplier. We install, service, and guarantee everything we sell, and our customers appreciate our personalized, old-fashioned approach to service. If you’re not sure what type of water treatment you need, we can help. As water treatment specialists, we are trained specialists in issues affecting local water supplies. We’ll steer you to the treatment type thats right for you!